Fillers such as JUVÉDERM® plus are used to safely plump up and restore volume to the face and lips. Fillers are used to correct deep folds and reduce wrinkles, and for facial contouring and lip sculpting. Treatments are carefully formulated and individually designed depending on a client's age, skin type, life style and muscle tone, which results into a more revitalized facial appearance. Injections are made just below the skin into the dermal layer, filling unwanted folds, lines and restoring the border of the lip. Treatments results are immediate and may last anywhere from six to twelve months depending on the area treated and the amount of filler used. Should regular treatments be stopped, the injected filler is gradually absorbed by the body and your face returns to its original appearance. You can receive your first treatment at the time of your initial consultation with the physician. As we age, our skin changes and the natural volume of youthful skin begins to diminish as wrinkles and folds form. But, with Juvéderm® you don't have to let it happen! Juvéderm® results are longer-lasting than those obtained from other wrinkle reducers, including collagen and fat injectionsCall for your complimentary consultation! An immediate, visible and natural rejuvenation with a 100% hyaluronic acid injection of TEOSYAL. Hyaluronic acid is a natural, major component of our skin. Its hydrating, lubricating and viscoelastic properties make th face well-rounded, smooth and well-defined.These qualities deteriorate with age: the upper and lower cheeks become sunken, wrinkles appear and the face's oval shape is lost, affecting its overall harmony. There is no reason why you should'nt continue with your social life immediately after and injection. Another first from JUVÉDERM®: New JUVÉDERM® XC combines its smooth-consistency injectable gel with pain-reducing lidocaine. The addition of lidocaine means that you are more comfortable during and after your treatment with JUVÉDERM®. The signs of aging aren't limited to wrinkles. 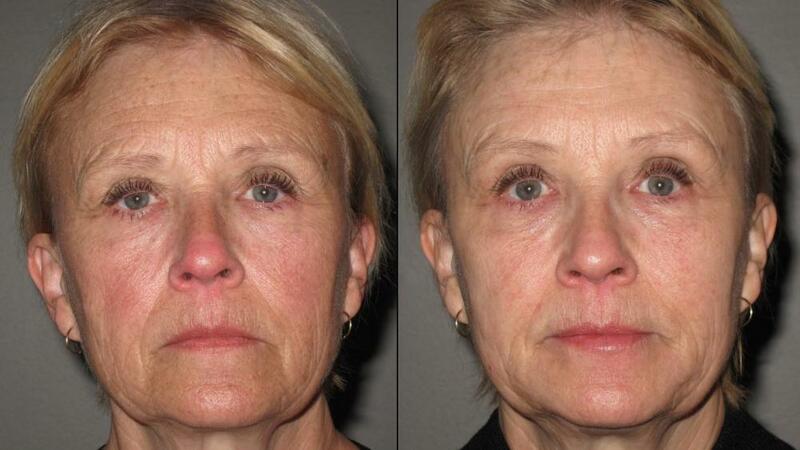 In fact, a key (yet less frequently discussed) sign of aging is loss of fullness in the cheeks. This can be a challenge to correct, with limited surgical and non-surgical solutions available. Fortunately, JUVÉDERM® now has a new product added to their line of leading-edge facial fillers, a product specially formulated to restore facial volume lost over time. JUVÉDERM® VOLUMA™ is an innovative injectable hyaluronic acid facial filler that delivers smooth, natural-looking fullness to sunken cheeks and firmness to a softening jaw line. 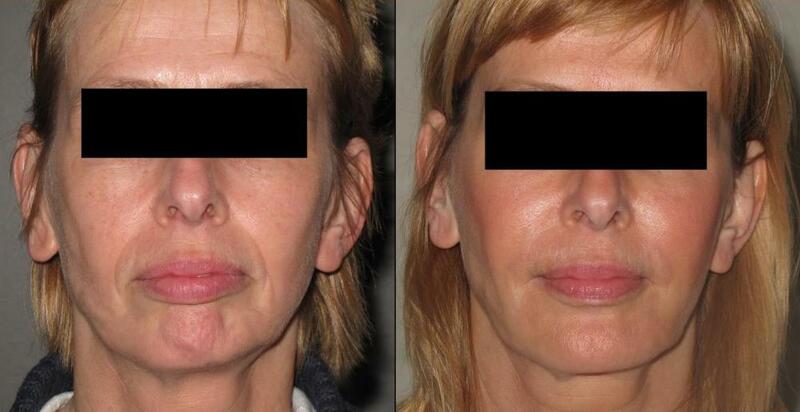 JUVÉDERM® VOLUMA™ has been reported to last up to 18 months, longer than many other facial fillers. JUVÉDERM® is a safe and effective non-surgical option for refreshing your appearance. Currently, there are several varieties of facial fillers on the market, but the patented formulation in JUVÉDERM® offers you the following facial rejuvenation benefits:Smooth, natural looking results. JUVÉDERM® contains a smooth consistency gel. Unlike other hyaluronic acid (HA) facial fillers made of granular bead-like gels, the smooth formulation of JUVÉDERM® provides results that look and feel very natural.Clinically proven to last up to a year with a single treatment.1Comfortable treatment experience. JUVÉDERM® XC (extra comfort) contains lidocaine – an effective localized pain reliever. This formulation provides an injection experience that is gentle and comfortable, so you can feel good during and after treatment. JUVÉDERM® provides an instant improvement in the areas treated. Most patients require only one treatment to achieve optimal wrinkle smoothing or volume enhancement.Quick and easy procedure. Unlike a face lift, JUVÉDERM® is a non-surgical, healthcare professional-administered treatment that can generally be performed in only 15 to 60 minutes (depending on the areas treated) with minimal recovery or downtime. 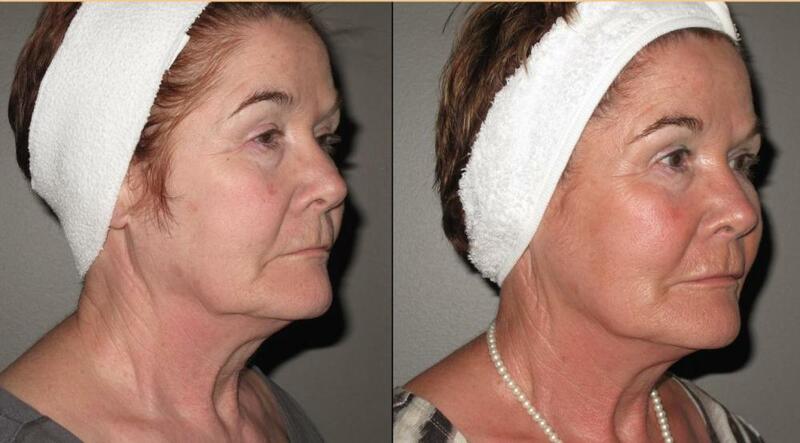 A further advantage of JUVÉDERM® is that the treatment is reversible. If you don't like the results, you can return to your pre-filler appearance. HA fillers are biodegradable, meaning the gel breaks down over time and disappears, unnoticed, from your body.Proven safe and effective. JUVÉDERM® has been approved by Health Canada and is also the first HA facial filler that has demonstrated effectiveness in persons of colour. The treatment is comfortable thanks to the patented formulation of JUVÉDERM® XC (extra comfort) that includes lidocaine – a localized pain reliever. After the treatment, the appearance of lines on your face will be reduced, your lips will appear fuller and more defined, and your cheeks plump. You will leave looking naturally refreshed - so that everyone will notice, but no one will know! Depending on what you want to accomplish, this simple treatment can be used for many different purposes. It can be used as a wrinkle filler, reducing the appearance of wrinkles and creases. It can also be used to restore volume in the cheeks and chin area and to enhance features such as lips and cheeks. JUVÉDERM® can instantly refresh and rejuvenate your appearance by smoothing unwanted lines, restoring natural contours and replacing lost cheek volume. JUVÉDERM® is placed beneath wrinkles and folds to 'fill in' or 'plump up' the depression. The most appropriate lines to treat with JUVÉDERM® are those that are described as static lines you can see when your face is not moving (like smile lines). The most commonly treated areas include smile lines (or nasolabial folds), mouth lines (or marionette lines), smoker lines (or vertical lip lines), cheeks or chin. JUVÉDERM® injections can also be used as facial fillers to enhance some of your facial features, such as lips and cheeks. With subtle and strategically-placed injections, JUVÉDERM® will contour and define lips and cheeks, at the same time keeping your appearance natural-looking, symmetrical and well-balanced. JUVÉDERM® is the #1 doctor recommended facial filler in Canada and in North America. It is made with hyaluronic acid, a naturally occurring sugar found in your body. It combines with water in your skin to instantly smooth out lines and wrinkles, enhance lips and restore lost volume to cheeks and the jaw line. The product is safe and has been used for a number of medical applications for many years including joint problems and eye conditions, as well as skin lifting. JUVÉDERM® was also the first hyaluronic acid facial filler tested in persons of colour. Before you decide on a treatment with JUVÉDERM®, you'll want to find a qualified aesthetic health care professional – someone familiar with JUVÉDERM® and the injection process. You can use our simple doctor locator tool to find an experienced aesthetic professional near you. Severe allergies marked by a history of anaphylaxis or presence of multiple severe allergies. A history of allergies to gram-positive bacterial proteins. Patients who are using medications that can prolong bleeding, such as aspirin or ibuprofen, may experience increased bruising or bleeding at the injection site (as with any injection). You should inform your healthcare professional before treatment if you are using these types of substances. If laser treatments, chemical peels, or any other procedure based on active dermal response is considered after treatment with JUVÉDERM®, there is a possible risk of an inflammatory reaction at the treatment site. JUVÉDERM® should be used with caution in patients on immunosuppressive therapy as there may be an increased risk of infection. The safety of JUVÉDERM® for use during pregnancy, while breastfeeding, or in patients under 18 years, has not been established. The safety of JUVÉDERM® in patients with a history of excessive scarring (e.g., hypertrophic scarring and keloid formations) and pigmentation disorders has not been studied. JUVÉDERM® is generally well tolerated. Reported side effects in clinical trials were mild to moderate in nature and lasted 7 days or less. The most common side effects included, but are not limited to, temporary injection site reactions such as redness, pain/tenderness, firmness, swelling, lumps/bumps, bruising, itching, and discolouration. As with all skin injection procedures (including collagen injections), there is a risk of infection.